Great news for Tablet lovers, HP 7 VoiceTab, World’s best budget voice calling Android tablet now available in India online through Amazon priced at Rs 8,544 in Black and White colour option which first launched in India priced at Rs. 10,990. 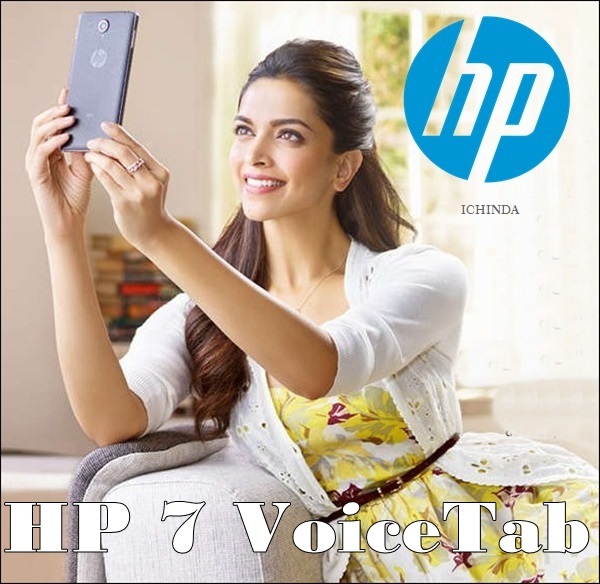 HP 7 VoiceTab will give stiff competition to Lenovo and Samsung in Tablet market. HP 7 VoiceTab offers you a 5-MP Rear camera with LED Flash for shooting perfect for low light photography and VGA front camera for video call and selfies packed with a powerful 3,000mAh battery measures 19.2 x 1 x 10.2 cm and weight 127gm including 1 year manufacturer warranty for device and 6 months manufacturer warranty for in-box accessories including batteries from the date of purchase. At last few honest word, HP 7 VoiceTab is the best budget tablet in India. What you think? Please be open to give your view.